February 2018 – Ridgecrest P.A.C.T. The following is a joint press release from the Sierra Sands Unified School District and the Ridgecrest Police Department. The horrific events that have happened across our country over the last several years have created concerns in every one of our schools and communities. We strive to do our very best to keep our schools, our children, their families, our staff and community members safe at all times. When concerning statements or rumors are brought to our attention, we investigate immediately. We want to make sure we are doing everything we can to resolve the problem. The Ridgecrest Police Department and Sierra Sands Unified School District appreciate the community’s help with information like this. We want to continue to encourage anyone with concerning information in the future to share it with us. Thank you. On 02/15/18, at about 1730 hours, Detectives from the Ridgecrest Police Department were conducting a probation search in the 1600 Blk of N. Brown Rd. 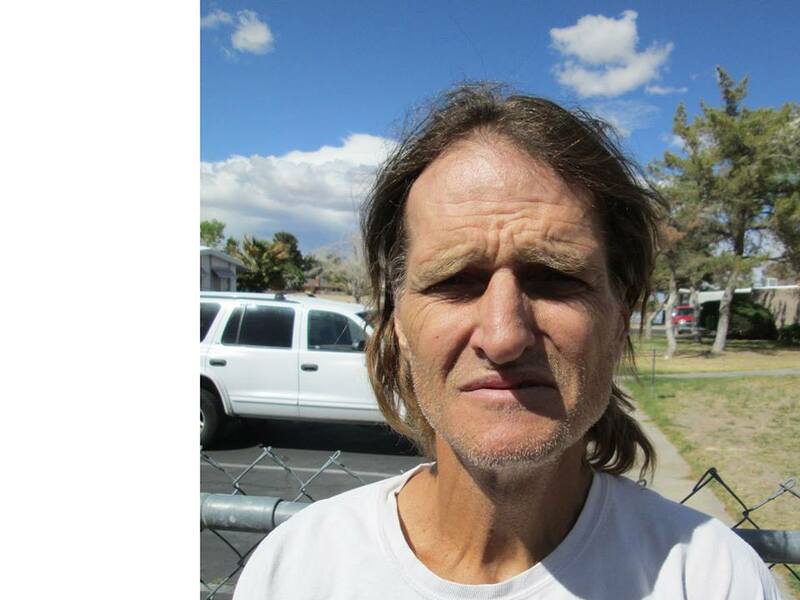 During the probation search, Gerald Field fled the scene. If you have any information regarding Field’s location, please contact the Ridgecrest Police Department at 760-499-5100. Thank you for your help in this matter. On 02/12/2018, at about 2215 hours, Officer Bartlett of the Ridgecrest Police Department saw a silver Yamaha motorcycle fail to stop at a posted stop sign. He attempted to conduct a traffic stop and the driver of the motorcycle, Sean Saenz failed to yield. A vehicle pursuit ensued, during which Saenz drove on the wrong side of the roadway, failed to stop at the posted stop signs, or signal. 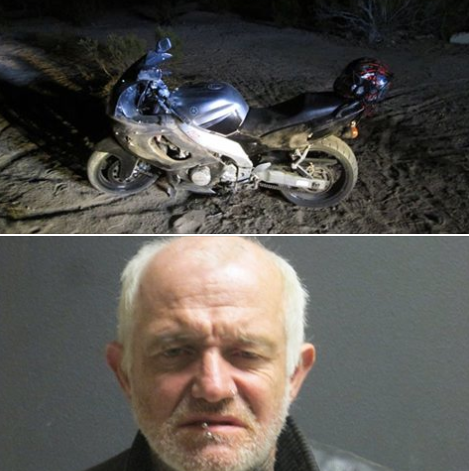 After a vehicle pursuit of approximately 1.3 miles Saenz crashed the motorcycle in a desert lot. He attempted to flee on foot but was quickly apprehended. During a search incident to arrest suspected drug paraphernalia was located. Saenz was medically cleared and booked at KCJ Mojave. On 02/12/18, Officers Clinton, Stangle and Loredo conducted several probation searches during the course of their normal patrol duties. 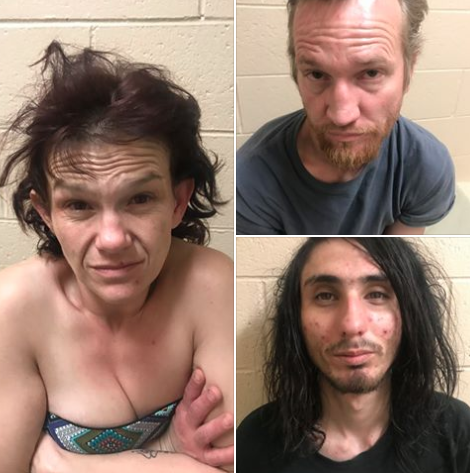 During these searches, two suspects were arrested for no bail warrants and a third was arrested for being under the influence of a controlled substance. James and Ferris will both be transported to CRF, Bakersfield where they will be booked and held on their no bail warrants. Edit: To avoid any confusion it should be clarified that these individuals were arrested in separate events and during the course of the day. On 02/11/18, at approximately 2130 hours, officers from the Ridgecrest Police Department were dispatched to the Knights of Columbus regarding an armed robbery. Upon arrival, officers were told the Knights of Columbus had hosted a Bingo event earlier in the evening. After the event concluded witnesses said that a male suspect wearing a mask to conceal his identity and armed with a pistol entered the building. The suspect made his way to where the money was kept and gabbed the money from the victim. The suspect then fled from the scene on foot. KCSO deputies responded to assist and officers from RPD quickly established a perimeter. The RPD K-9 was deployed to search for the suspect but was unsuccessful. RPD Detectives responded to the scene and continue to investigate this incident. At the time of this press release the suspect remains at large. The suspect was described as possibly Caucasian or Hispanic, male, medium complexion, medium build, approximately 5’9″, wearing a black long sleeve hooded shirt and blue jean pants.